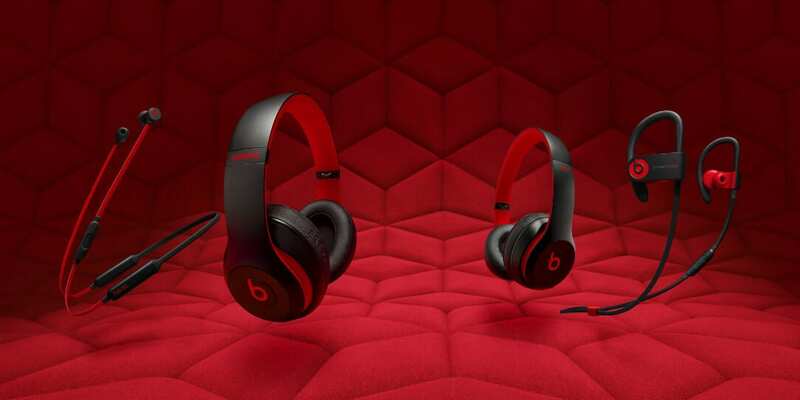 You can purchase Beats products on Apple’s website and authorized retailers. Beats by Dr. Dre kicks off its 10 year anniversary celebration with the launch of its new Decade Collection comprised of its latest products: Beats Studio3 Wireless over-ear headphones, Beats Solo3 Wireless on-ear headphones, BeatsX wireless earphones, Powerbeats3 Wireless earphones, and urBeats3 earphones, styled in red accents— a color that has become synonymous with the brand. We reviewed the Beats Studio3 Wireless over-ear headphones and came away surprised at just how good they were. The company has certainly come a long way from their beginnings and have really improved the product since Apple took them over. Launched in 2008, the Beats Studio headphone put Beats on the map: it created and dominated the premium headphone category, exposed an entire generation to a premium sound experience, and showed the music industry that consumers and music lovers are willing to pay for quality. In just a few short years following its debut, Beats firmly situated itself at the heart of global pop culture and nurtured an emotional connection with its consumers that continues to drive passion for and loyalty to the brand—a rare accomplishment for a young company. The red Beats “b” and flat red headphone cable quickly became iconic and recognized by consumers worldwide. As a nod to these distinguishing features colored to invoke musical passion and emotion, the Decade Collection is painted matte black to highlight its bold red accents. The Beats Studio3 Wireless headphones also feature a special debossed earcup and come with a custom linen case. What do you think of the Beats Decade Collection? Let us know in the comments below or on Google+, Twitter, or Facebook.